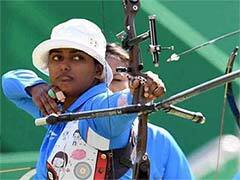 Jharkhand's Anita Kumari topped the girls' under-21 compound ranking round with an imposing total of 694 points. 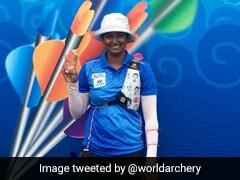 Asian Games silver medallist Muskan Karir from Madhya Pradesh overcame nagging shoulder pain to shoot a reasonable score of 675 points in the girls under-21 compound archery ranking round at the Khelo India Youth Games. She finished a creditable fourth after 72 arrows. 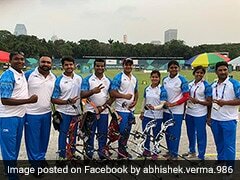 Jharkhand's Anita Kumari topped the girls' under-21 compound ranking round with an imposing total of 694 points, a media release said. In the boys' under-21 ranking round, Punjab's Sangampreet Singh Bisla was just as good. The Patiala lad's 695 were two points better than Madhya Pradesh rival Saurabh Pandey's total. In fact, the top six had scores of 690 and more. Amit Kumar, who won the team gold for Madhya Pradesh in National Championships here last year, will be ready to stop the Haryana trio of Paras Hooda, Akash Malik and Rahul in the Olympic rounds tomorrow. 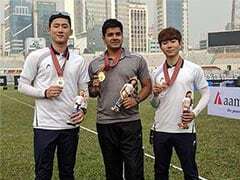 "He is a good Olympic round shooter," coach Richpal Singh Salaria said of the 15-year-old who picked up a bow for the first time two years ago. 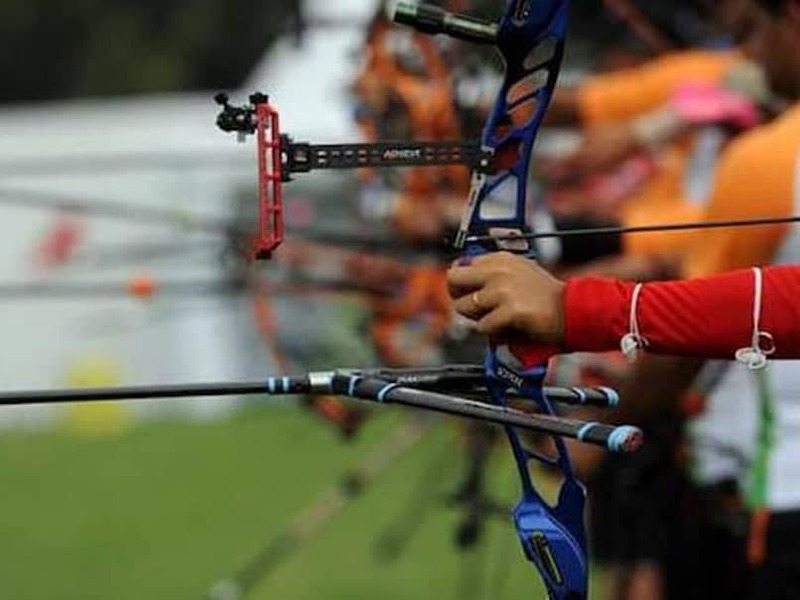 The results (ranking round, top four only): Recurve: Boys under-21: B Dhiraj (Andhra Pradesh) 663 points; Shukmani Gajanan Babreka (Mahrashtra) 662; Uttkarsh (Punjab) 653; Satyam Shyam Patil (Maharashtra) 652. Girls under-21: Sangeeta (Haryana) 647 points; Suparna Singh (West Bengal) 628; Sehajpreet Kaur (Punjab) 627; Ankita Bhakat (Jharkhand) 625. Boys under-17: Amit Kumar (Madhya Pradesh) 673; Pras Hooda (Haryana) 670; Akash Malik (Haryana) 665; Rahul(Haryana) 655. Girls under-17: Komalika Bari (Jharkhand) 668; Ridhi (Haryana) 651; Shaniya Sharma (Jharkhand) 648; Amanpreet Kaur(Punjab) 631. 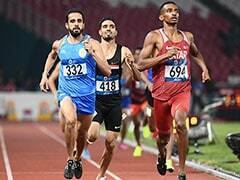 Compound Boys under-21: Sangampreet Singh Bisla (Punjab) 695; Saurabh Pandey (Madhya Pradesh) 693; PadamSehrawat (Delhi) 692; Sumik Kumar (Haryana) 691. Girls under-21: Anita Kumari (Jharkhand) 694; Shristi Kanwar (Rajasthan) 681; Suchitra Tourangbman (Manipur) 675; Muskan Kirar (Madhya Pradesh) 675. Boys under-17: Ritik Chahal (Delhi) 697; Kunderu Venkatadri (Andhra Pradesh) 694; Mayank Rawat (Haryana) 684; Chirag Vidyarthi (Madhya Pradesh) 683. Girls under-17: Priya Gurjar (Rajasthan) 684; IshaKetan Pawar (Maharashtra) 681; Nikesa Sakhrie (Puducherry) 680; Arshiya Chaudhary (Delhi) 677.